Davines Essential Haircare ampoules are the combination of a modern approach to hair care and Ayurveda – the medicine and philosophy of India. The packaging is black and looks fancy; it holds 12 vials, 13 ml each. The ingredients of Davines OI Absolute Hydration are safe so you can apply the ampoules to your scalp. 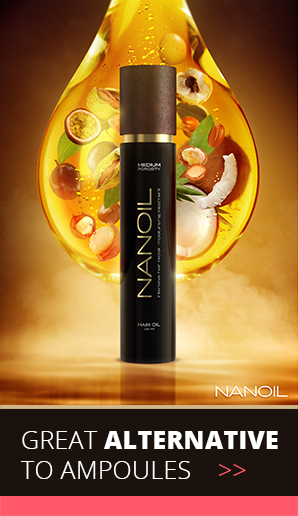 Natural roucou oil is the main component captured in glass vials. It is the major ingredient of Essential Haircare products. Natural oils give your hair the best care possible. Roucou oil is an extraordinary substance that contains almost 100 times more beta carotene than carrots. That is why, it is able to rebuild hair structure more quickly and intensively. It also noticeably boosts hair growth. Roucou oil stimulates the production of melanin so hair stops greying; its colour is intensified and shiny, protected from strong UV radiation. Melanin makes up about 3% of hair mass. The largest amount is hidden in the external layer, right under the cuticle scales. If our cells produce melanin, we enjoy our natural hair colour. If the production is disturbed, hair starts greying. Ampoules with roucou oil even out the level of melanin thus grey strands are no longer our problem. Davines OI Absolute Hydration ampoules include a high concentration of keratin – a protein, main building block of hair. Thanks to keratin, your hair stays elastic, bouncy and full of vitality. 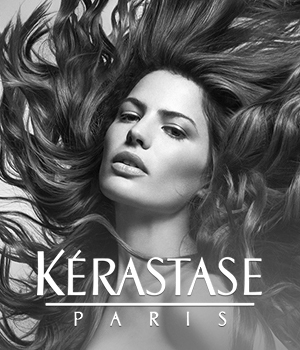 Keratin reinforces hair fibres and repairs strands. Davines OI Absolute Hydration is designed for all hair types, especially for hair that is often coloured or bleached, and for women who have noticed first grey hairs. Davines ampoules slow down greying and ageing of your hair. They provide dry hair with proper level of hydration. You must use Davines ampoules at least once a week if your hair is normal. Apply the ampoules after every hair wash if you have dehydrated hair that needs repair (the manufacturer recommends mixing the ampoule with a hair conditioner to intensify the effects). Gently massage the substance into hair and scalp until creamy lather is formed. After 5 minutes, thoroughly rinse it out. In comparison to other commercially available hair and scalp ampoule treatments, Davines product offers very gentle repair. It is aimed at moisturising and enriching the colour of dull and damaged hair as well as slowing down ageing. You can see moisturised and elastic hair after using up the very first ampoule. Many women cannot use up the whole ampoule in one application because of a large capacity (12 ml). If you apply too much, the product can weigh hair down and take away volume and body. The ampoules are safe and based on natural ingredients. Surely, you can use more than one packaging. If your hair is dull, dry, frizzy, thinning, over-processed – Davines OI Absolute Hydration ampoules are for you. Davines OI Absolute Hydration Treatment is ideal for over-processed and dehydrated hair. The ampoules instantly reinforce your hair. The product works in a gentle way. The composition is definitely safe and hair-friendly. The ampoules add shine, intensify the colour, prevent loss of melanin and reinforce hair fibre thanks to the content of keratin. The effects of Davines OI Absolute Hydration treatment? Luminous, healthy, bouncy and silky to the touch hair.